I am a big fan of the smoothie, and this one happens to be my favorite right now. 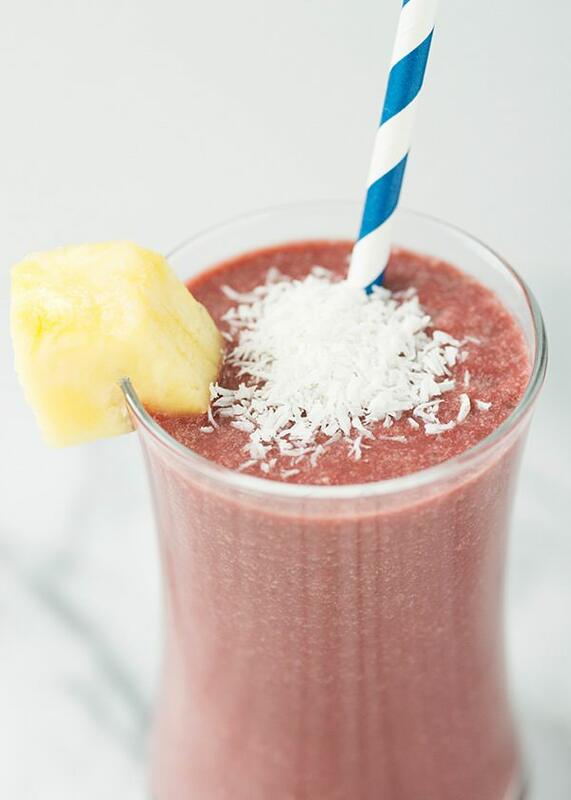 I love coconut anything, and add some pineapple and berries, and I am in heaven. 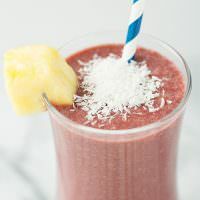 Berry Coconut smoothies are refreshing and you would never know that there is a generous handful of healthy greens in there. This is a great one if you are trying to get your kids on the green smoothie train. It keeps its pinky-purple color and they will have no idea that they are drinking bunches of spinach. Any extras are really good frozen in popsicle molds for an after school snack. 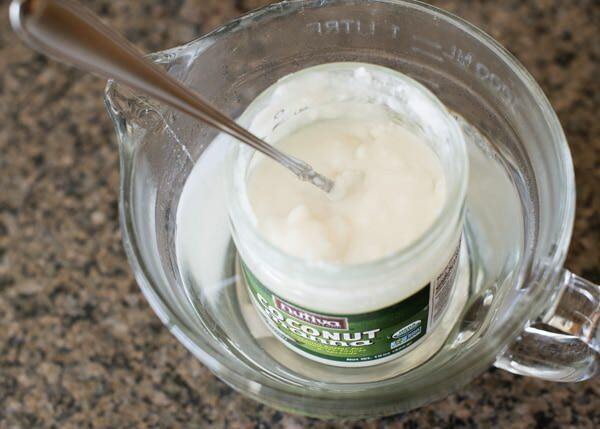 If you don’t have or cannot find coconut butter, no worries – you can skip it altogether and add some shredded coconut or a few Tablespoons of coconut oil at the end of blending. I happen to love coconut butter (sometimes called manna) and use it on my toast. It is delicious and worth trying. 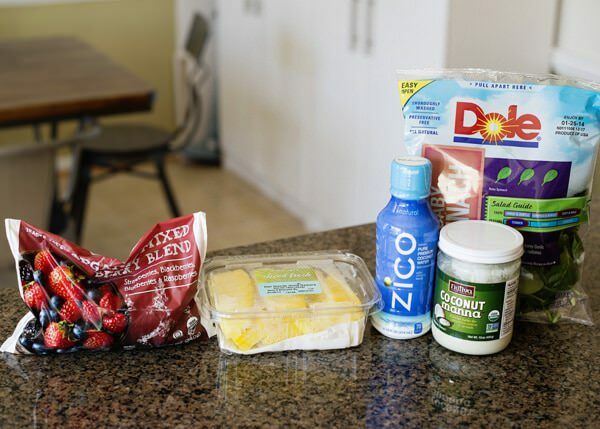 I really happen to like the little packets of coconut butter, and buy them whenever I see them. Just a quick reminder that I have 2 amazing giveaways going on right now. $75 gift card to Whole Foods and a Journey Shawl from KOOSHOO! Click on over and enter! 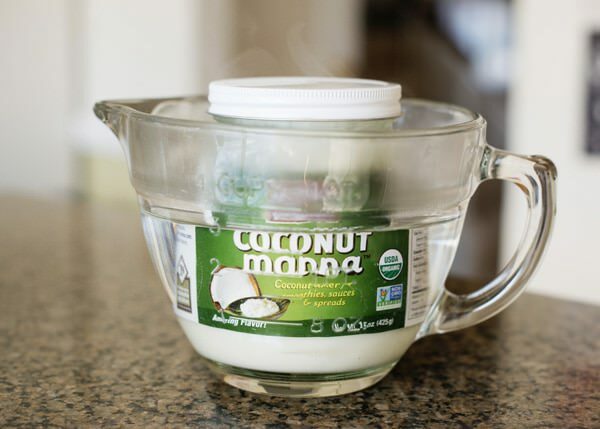 Coconut manna can solidify, so I put the container in some hot water for about 10 minutes until it loosens up and is scoopable. I love this stuff. 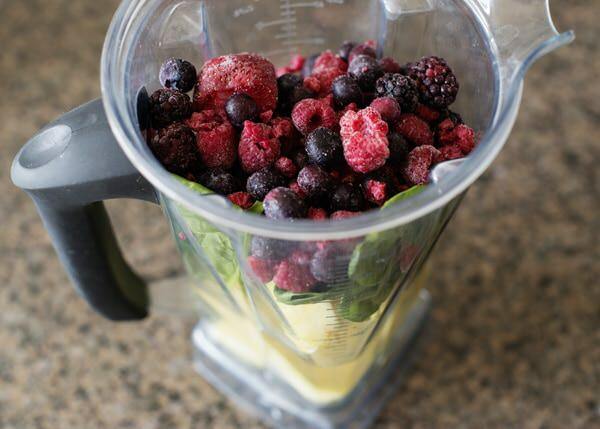 Add the coconut water, pineapple, spinach and berries to the blender. Add the coconut manna right before you are ready to pour. Top with some shredded coconut and garnish with some pineapple. 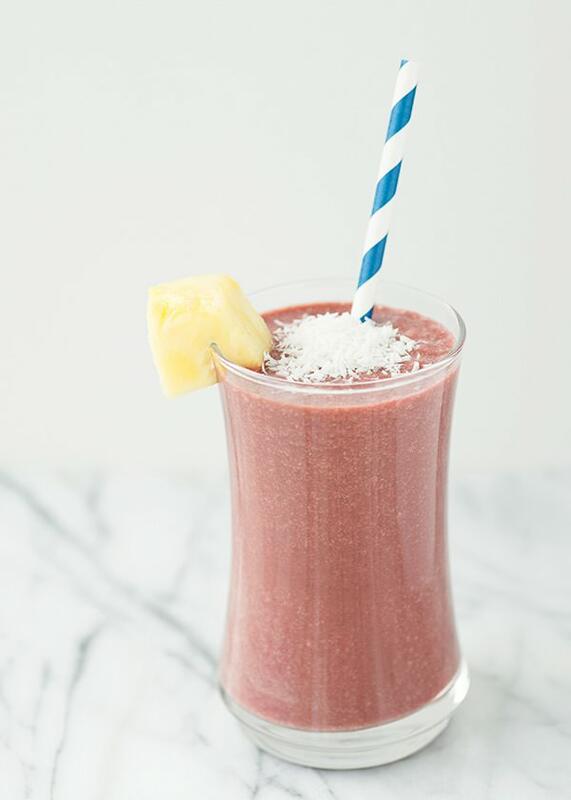 Add the coconut water, pineapple, spinach and berries to the blender. Process until smooth. Add the coconut manna right before you are ready to pour.